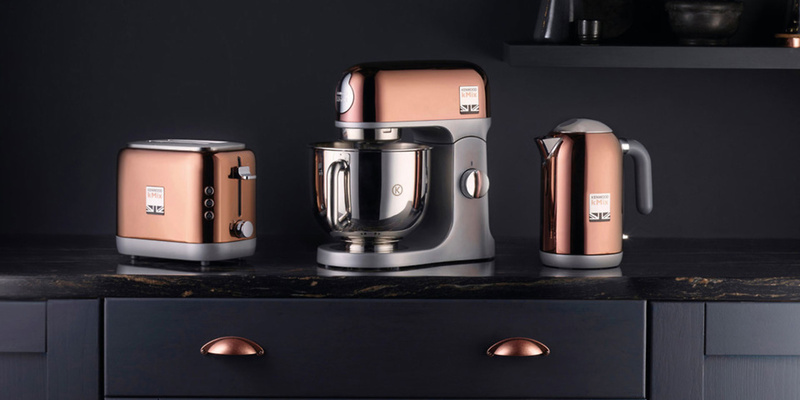 Kenwood has launched a limited edition version of its popular kMix stand mixer in a hand-painted metallic rose-gold finish, along with a matching kettle and toaster. Previously only available at luxury department store Harrods, you can now buy the bundle from John Lewis. But if you want to get your hands on a set you’ll need to act quickly, as there are only seven copper kMix bundles available. Kenwood told us that the reason for the limited stock is that the rose-gold finish is hand painted, and that there are no current plans to increase availability. Kenwood kMix review – get our verdict on the mixer before taking the plunge. Rose-gold and copper kitchen appliances started to take over the shelves in mid-2017, and the trend shows no sign of slowing down in 2018. Predictably, this statement finish costs a little more than standard colour options. The three-piece Kenwood kMix set costs £650 – significantly more than buying the individual products in everyday colours. You can’t pick and choose either: you have to buy all three gadgets, or none. While these rose-gold appliances might make your kitchen look stylish, you’ll also want to make sure that they’re good at their job, especially considering the cost. We’ve tested the standard colour version of the kMix kettle and stand mixer, so check our Kenwood kMix KMX754RD stand mixer review and Kenwood kMix ZJX750BK kettle review to find out whether they’re worth investing in. We haven’t tested the two-slot Kmix toaster from the bundle as it’s not available to buy on its own in the UK. But we have tested the four-slot version – read our Kenwood kMix TFX750WH review to find out whether it impressed in our tests. Rose-gold, copper – whatever variation of this metallic trend you go for, one thing’s for sure – people can’t get enough of it. 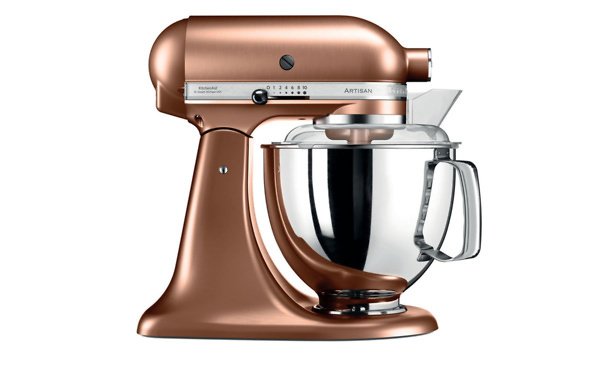 The copper version of the much-coveted KitchenAid Artisan KSM175 stand mixer (pictured above) caused quite a frenzy when it starred on Nigella Lawson’s TV show, Nigella: At My Table. It is currently sold out across all retailers, but KitchenAid tells us it will be back in stock in February. The Royal Champagne version of the Heston Blumenthal-endorsed Sage Bakery Boss stand mixer also sold out over Christmas. As with the Kenwood gadgets, the copper finish of the KitchenAid Artisan stand mixer increases its already-expensive price. While other colours, including black, silver and purple, cost around £550, the copper version is a whopping £740. 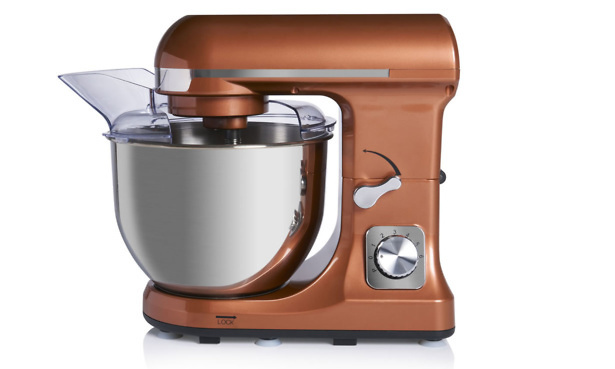 If you want to snap up the copper KitchenAid, you can submit your email address on the product page on the Currys and John Lewis websites, and you’ll be notified via email when it’s up for grabs again. Sainsbury’s has a few of its own copper appliances to tempt you to part with your cash. The Sainsbury’s Pyramid copper kettle (£17.50) has a traditional dome design and can hold up to 1.8 litres of water. The matching four-slice toaster (£35) has seven browning levels and a defrost function for those who prefer to keep their bread in the freezer. 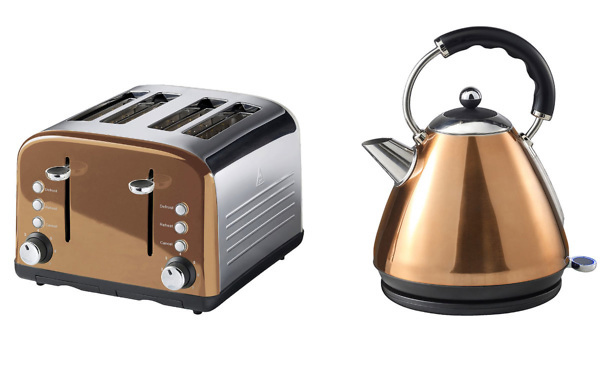 Can these cheap and cheerful copper gadgets deliver speedy brews and perfect toast while upping the style factor in your kitchen? Check our reviews of the Sainsbury’s Copper Pyramid Kettle and Sainsbury’s Copper Toaster to find out. The Wilko stand mixer’s £65 price tag is an attractive alternative to the much more expensive KitchenAid and Kenwood options. It comes with the basic dough hook, whisk and beater attachments, and there’s a handy splashguard to help prevent your tasty concoctions from spraying over your kitchen worktops or apron. It has six speed settings and a large 4.5-litre bowl. Does a cheap stand mixer do the job, or will you be happier after spending a little more? Find out by consulting our stand mixer reviews. We’ve been busy testing new copper kettles and toasters. Head to our kettle reviews and toaster reviews to see all the latest models and find the perfect match for you.